Golf Outlets of America, Inc. (The company who manufactures Confidence Treadmills) is a well-established company, and they are accredited as the capital for golf with over 130 golf courses in the Thousand Palms, California area. They have established lasting relationships with manufacturers around the world, and they buy their products in bulk. 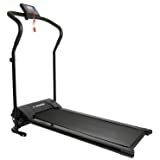 This allows for customers to buy the Confidence Treadmill at a much lower cost than many other retailers would be able to offer. They pride themselves in their exemplary customer service and satisfaction. Their Confidence Treadmill has a lot to offer, let’s weigh in on the pros and cons. Assembly is extremely easy with the Confidence Treadmill. 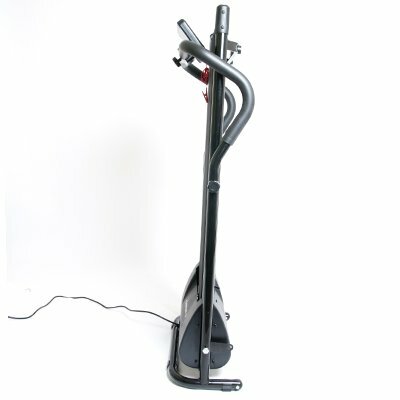 The unit only weighs around 50 pounds, and you are able to get it put together within minutes of receiving it. Using just a screwdriver, anyone can put this product together. The only other thing that is necessary is to put in a few knobs, and you are ready to workout. The speeds are easy to set and steady. The increments are very precise from 1.1, 1.2, 1.3, etc. Once the speed is set, the customer is able to embark on a steady exercise session, enabling them to meet goals with ease. Customer support is tremendous. Golf Outlets USA boasts on their ability to meet customers’ needs after the sale is made, and this certainly rings true when you contact their support line. There is room for improvement with this product, and customers are happy to offer advice on how to make it better. The Confidence Treadmill offers limited work space. Although the compact style the product features makes it simple to transport and assemble, I would be willing to lug around a few more pounds to take advantage of more space. Sometimes, I have found that my machine will boost the speed without being manually prompted, and this disrupts my workout. I have found the product to lag. When I bump up the speed, it seems to hesitate, not allowing me to fully enjoy a rigorous workout.